Cloudburst is developing training materials that support gender-responsive HIV-Prevention strategies targeted to increase the understanding of how program planners, managers, CBOs, healthcare professionals, policy makers, and government workers can better serve women and adolescent girls through HIV/AIDS prevention efforts. 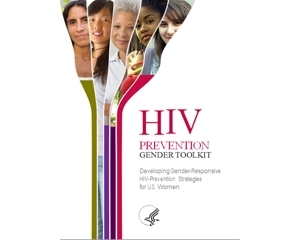 In an effort to bring the importance of gender to the U.S. HIV/AIDS community, OWH initiated the development of the HIV Prevention Gender Toolkit: Developing Gender-Responsive HIV Prevention Strategies for U.S. Women. The goal of the HIV Prevention Gender Toolkit Training is to offer HIV program directors, planners, and providers a framework and resources necessary to design, implement, and evaluate more gender-responsive HIV prevention programs. This Toolkit also highlights the importance of cultural and linguistic competence in the integration of gender considerations in the design, implementation, monitoring, and evaluation of HIV-prevention programs and support services. Understanding how gender norms, roles, and relations vary among different cultural and social groups and differentially affect their vulnerability to HIV/AIDS is critical to the development of HIV- prevention and support services that are responsive to the specific needs of diverse groups of heterosexual women and adolescent girls.